Welcome to Hogan Chiropractic! If you were involved in a motor vehicle accident and sustained an injury, no matter how minor, it is critical that you seek medical attention from a car accident doctor to avoid long-term problems in the future. Hogan Chiropractic is a leading chiropractic clinic specializing in auto accident injury treatment in the Sugar Land area. 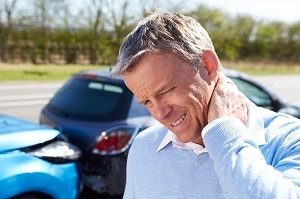 Our Sugar Land chiropractors pay special attention to injuries unique to car accidents such as whiplash, back pain, neck and shoulder pain, and any other musculoskeletal and soft tissue injuries. We will develop a personalized treatment plan to help your body heal. If you’re experiencing pain, headaches, dizziness, and/or blurred vision following a car accident, let the auto accident chiropractors at Hogan Chiropractic help you get the care you deserve. Call now for an appointment at (281) 240-2225! Chiropractic care focuses on rehabilitating the soft tissue that connects the muscles, ligaments, and nerves in your back. This is accomplished through massage therapy and low-impact exercises. Our Sugar Land car accident rehab doctors will start by taking a full examination, often utilizing X-rays to examine any injuries to the neck or spine. It will also involve spinal adjustments to ensure that the spine is restored to its original position and capacity for movement.